It's the time of year again where Star Wars fans get a big celebration of all things relating to the franchise. Last year was huge, what with the start of new films and a reset to canon making everything new. And with that we got quite a few new stories, in both comic and novel form. Oh, and the glorious Rebels Season 2 trailer. We got a small peak at a scene from Season 3 on The Star Wars Show, and it is looking as good as ever. So let's take a look what we have this year. The obvious big thing is Rogue One. The panel is sure to do for this film what the Force Awakens panel did last year. Cast and crew talk about the film, and near the end a new trailer gets revealed. That last one in April got people talking, so I'm sure this one will bring a lot of excitement. All this will be happening at the Rogue One: A Star Wars Story panel tomorrow [15th] at 16:00 BST. That's on the first day, though films get a big focus throughout. In fact, the next biggest thing in terms of films would probably be the Future Filmmakers Discussion panel, which will be closing the Celebration off on the 17th, 15:00 BST. Future films being Episode VIII and the untitled Han Solo film. Since both films are far off, we can't be expecting any footage, though maybe a teaser of Episode VIII like what happened for Rogue One at the last Celebration. Perhaps that teaser might even reveal the full title. That would sure be a grand way of closing the event. The Force Awakens will still be explored, with The Creatures, Droids, and Aliens of Star Wars: The Force Awakens giving a look at how the various elements like Maz Kanata, BB-8, and Unkar Plutt were designed and sculpted, then put through fabrication, animatronics, painting, and puppeteering to make them look real on screen. This takes place on the 16th 12:00 BST. One of the bigger things on the 16th is the Rebels Season 3 panel at 16:00 BST. Here will be sneak peeks at Season 3 of the show, including the new trailer. This is sure to give us insights into what happens to Kanan, the design decision behind Ezra's new look [which we saw in the preview clip on The Star Wars Show], and how Sabine will factor into things considering she's meant to have a bigger focus this season. There's also the reveal of new characters. Nothing excited fans more than seeing the clones Rex, Wolffe, and Gregor on the AT-TE during the Season 2 trailer, and this season's trailer is sure to have some bigger surprises like that as well. There is sure to be a big focus on Thrawn, the chiss Grand Admiral of the old Expanded Universe, who reports say is being brought back to canon. There's bound to be other surprises as well, with new vehicles, familiar faces, and perhaps even seeing some familiar planets. What with the bigger focus on Sabine we're meant to be getting this season, many people are saying a return to Mandalore is certain. Considering what we know of the Mandalore situation, it will be interesting to see how the planet is faring, and who actually controls the planet. And the whole Mandalore situation brings me nicely onto another panel, in fact one of the first panels to be happening this Celebration. The Ahsoka's Untold Tales panel kicks off tomorrow at 11:00 BST, and features Dave Filoni, Ashley Eckstein, and Pablo Hidalgo discussing the past and future of Ahsoka. Her younger years will be talked about, including discovery by the Jedi Order [something we saw very briefly on the opening narration of The Clone Wars episode The Gathering], and exploring the untold The Clone Wars episodes that she would have featured in - possibly including the Siege of Mandalore. There will also be talk about the novel that is set to be released that is focused on Ahsoka. Elsewhere we have the Star Wars Publishing panel [16th 12:00 BST] that will focus on upcoming novels set to be released, and possibly even revealing one or two new ones, and the Marvel's Star Wars Comic Books panel [16th 15:00 BST] which will look at what has been happening and more than likely what is to come in the comic book side of extra content. For the video games side of things, Meet the Creators: The Minds Behind EA's Star Wars Games [16th 19:00 BST] looks at the creation and design of current games, and goes into some detail about those yet to be fully announced. It's possible something new will be released, though not a full trailer for any game. If they do though, it could be very interesting to pick apart - as many have done with those small teasers from E3. As always, there are panels focused on merchandise. LEGO being the big one, as usual. Hot Wheels will also be discussing the making of the die-cast cars themed after various characters. Also around are various actors and crew members, with some - Mark Hamill and Anthony Daniels among them - hosting their own panels. 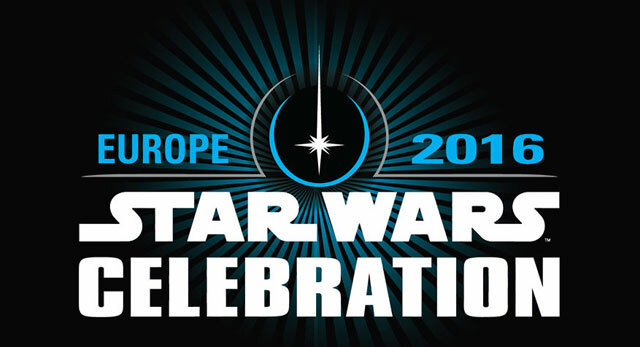 To take a look at all the panels and events happening within Star Wars Celebration, the events page of the official website is the place to be. The Star Wars Show are hosting the live stream this year, with several events per day being livestreamed with interviews and other things happening between panels. Not all panels will be shown on the time listed on the events page due to conflicts, so the news of what happened will be out before the livestream picks those panels up. 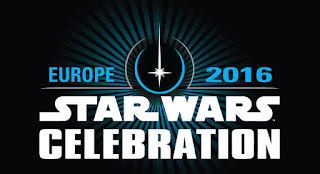 The full schedule of panel streaming can be found on the official Star Wars website. It's now just a case of waiting for tomorrow to come. Enjoy watching, reading or keeping up with the event in your own way, and the post-talk should be up on Monday.